This year's seedling sale features shrubs and trees that are tolerant of deer browse. While no plant is completely deer-proof, these seedlings are less susceptible. They help clean our water and air, prevent soil erosion, provide valuable habitat, and add beauty and resilience to your landscape. Enjoy! Orders are being taken online with a credit card, debit card or e-check. Orders for 2019 seedling packages are now available. Just follow this link to our online seedling sale store. This year's seedling sale features shrubs and trees that serve as valuable food sources for wildlife and delicious treats for us! These berries, fruits, and nuts are sure to bring new life to your garden! They also help clean our water and air, prevent soil erosion, provide valuable habitat, and add beauty and resilience to your landscape. Enjoy! 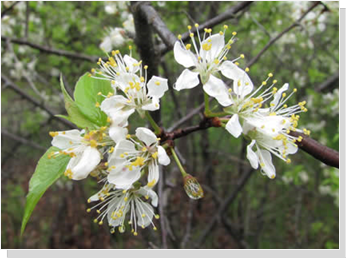 American Wild Plum (Prunus Americana—2 ea.) This small tree grows to a height of 20-35 feet. It has small white blossoms April to May. 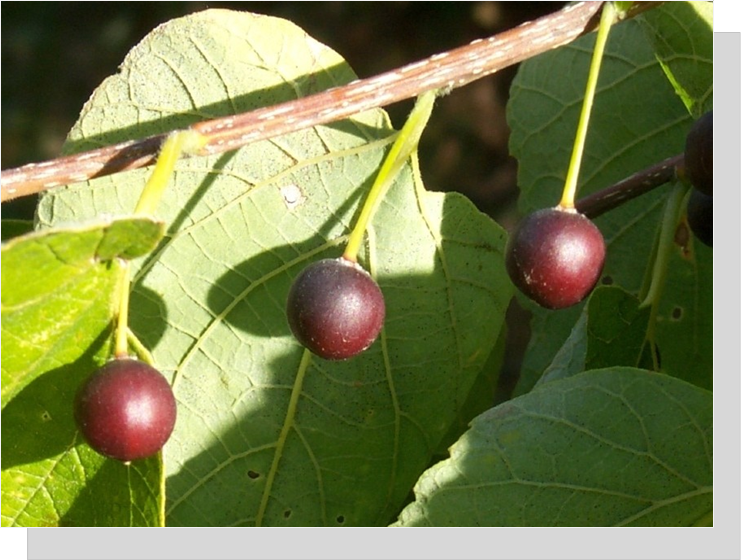 It grows yellow to red edible fruit and pale yellow foliage in fall. Perfect for rocky or sandy soils. It grows well in full to part sun, dry to moist soils. Hardiness Zone 3-8. Pawpaw (Asimina triloba-2 ea.) This small tree grows to a height of 20-35 feet. 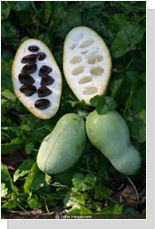 It has long, broad leaves and the largest fruit native to our continent. It forms stands from root suckers and has yellow fall foliage. It grows best in full sun to shade in moist, well-drained soil. Hardiness Zone 5-8. American Elderberry (Sambucus canadensis) This small shrub grows to 6-12 feet. 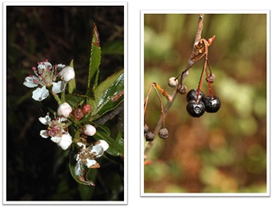 White flowers bloom in May to July and dark purple berry-like fruit appear in July to September. It is a great food source for birds. 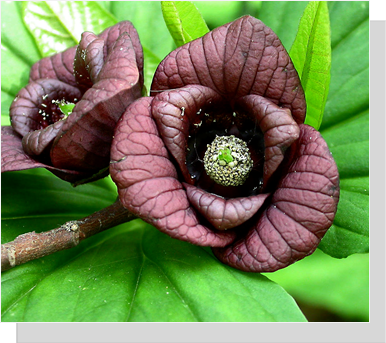 It grows best in part shade and moist soils, but it is very tolerant to most conditions. Hardiness Zone 3-9. This small shrub grows to 3-6 feet. White or pink-ish flowers bloom April-May, followed by black berries and crimson red fall foliage. It can be pruned as a hedge. It grows best in full to part sun, wet to dry soil. Hardiness Zone 3-8. This medium shrub grows to a height of 10-15 feet. Brown or red flower clusters appear in May to April with yellow orange foliage in fall. 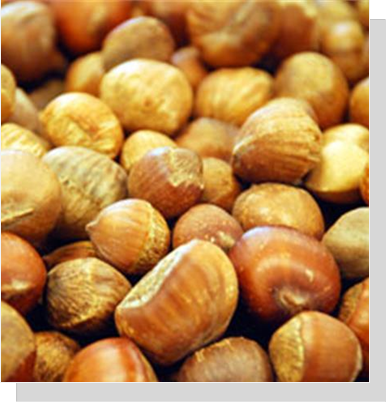 The brown hazelnuts that grow in the fall are edible. This tree supports a variety of wildlife including songbirds and small mammals. It grows best in partial sun, dry to moist soils. Hardiness Zone 4-9. This tree grows to a height of 20-50 feet. 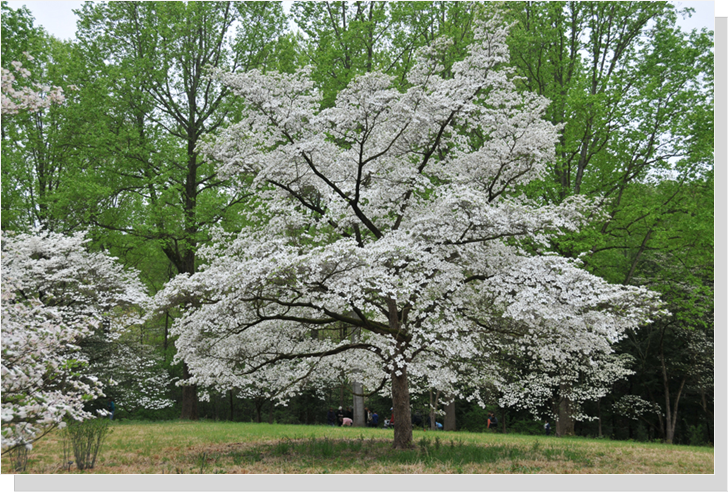 White flowers bloom April to May with red fall foliage. 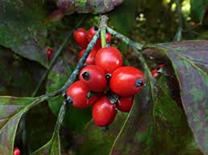 Migrant birds are attracted to the flowering dogwood's red-orange berries. This state tree of Virginia prefers part sun with dry to moist soils. Hardiness Zone 5-8. This tree grows to a height of 15-100 feet. 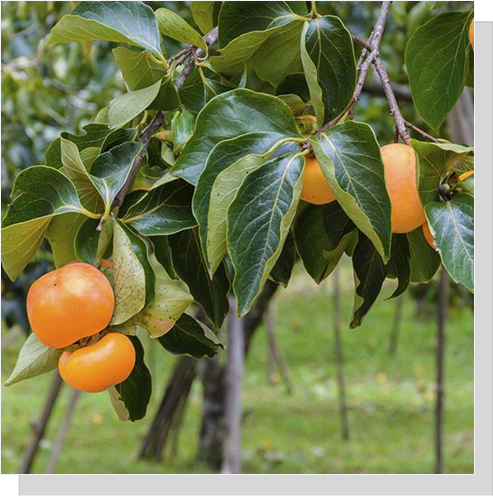 It blooms bell-shaped yellow flowers April to June with large sweet orange fruit in Autumn. 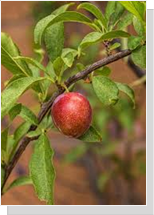 It prefers full sun to shade and is adaptable to many soils, including wet to moist soils. Hardiness Zone 3-9. This tree grows to a height of 40-100 feet. Yellow-green flowers bloom in April to May, followed by small purple berries. This tree serves as an important host for butterfly larvae. It grows best in full sun to full shade, in dry to wet soils. Hardiness Zone 2-9.